Photography is very personal and also very subjective. It’s personal to the couple, the parents, and even to the photographer. Photography is, as they say, the only thing you have left after the wedding, besides your new spouse and maybe your dress. Therefore, no one wants to make a decision that they end up regretting. Nowadays, with the internet, you can drive yourself crazy researching and getting ideas for all aspects of your wedding. I am not saying not to do any research, just do the right research. Get recommendations from your venue, talk to your friends, and check websites with real reviews by newlyweds. Once you find a photographer that you would consider, set up a time to meet or talk with them. Get a feel for their style, skill, and personality. You don’t have to fall in love with the photographer, just their work. With that being said, keep in mind that you will be with this person most of your wedding day so you should feel comfortable and confident that they will capture the images you want. 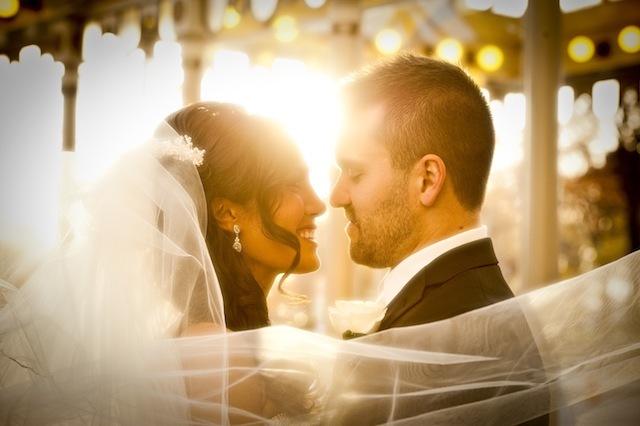 When interviewing your photographer, find out what they love to shoot and what they look for in a great wedding image. They are the professional; they should be able to collaborate with you on the timeline of your day and how to maximize your time and venue. Don’t be afraid to make a list of portraits you want. It will help the photographer get you what you want and make the day as stress-free as possible. The style that most brides say they want, and most photographers say they shoot is “photojournalistic”. Photojournalism, a natural style of photography coverage, is a big part of each wedding, but it shouldn’t be the whole wedding. I think, like in life, there needs to be a balance: if you eat too much, it’s not good, drink too much, not good. If you have too many posed images, not good, too much photojournalism, it’s not good either. For example, I think family, bride and groom, and wedding party “formal portraits” are very important. Some couples don’t want them. The underlying truth is that you just don’t want bad formal portraits. If you could have a beautiful, relaxed photo of your family, would you want it? Of course you would. It’s just a matter of proper planning and the right photographer to make it happen. With help from your photographer, you can find the right balance. Your photographer will be many things to you - director, psychologist, comedian, observer, reactor, editor, and buffer. These are great traits for your photographer to have. They may not use all of them at every wedding, but they are great tools in their tool belt. Also, by the way, they should take images that you love. Images that tell a story, capture emotion, make you look amazing, and get you through the family photos with a graceful touch. In all, it’s your wedding. You are going to have these images forever, so don’t settle. Get the best of everything.